A one-of-a-kind mobile karaoke room. The Gold Karaoke Van is on a mission to spread joy through celebrating and singing music all throughout Los Angeles. Book us to come and add the joy for any age and any occasion. 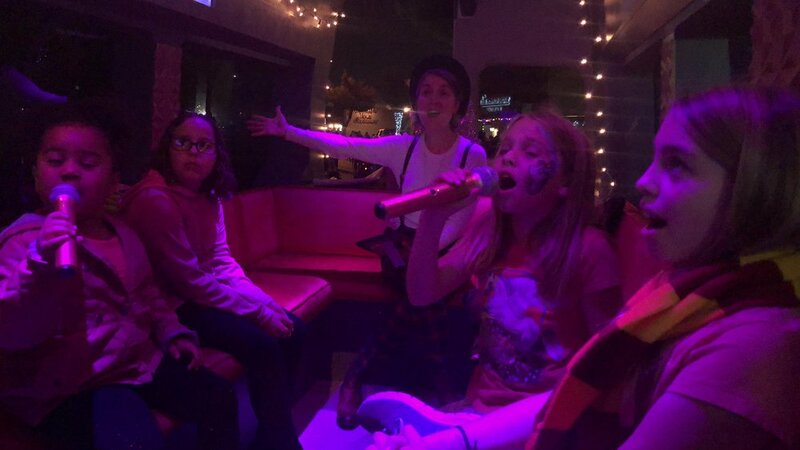 A mobile karaoke room brought to you! Lyrics on four screens and over 20,000 songs! We send messages about spreading joy, not spam and not too often.